Does your mom really deserve new cabinets? 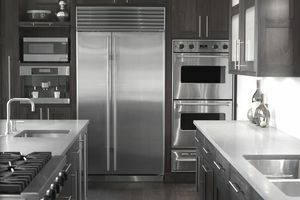 Describe why and enter Cabinets to Go's My Mother Deserves a New Kitchen Contest and she could win one. The winner will receive $5,000 worth of cabinets and $5,000 to spend at Talon Hardwood for a total prize value of $10,000. To enter, describe why your mom deserves a cabinet makeover along with a photo of your mom's kitchen. The winner will be chosen by judges.